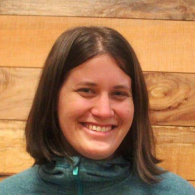 After reviewing and evaluating many quality films made by Oregon social justice filmmakers, MRG’s Justice within Reach Committee is excited to announce that Dawn Jones Redstone is the 2016 Lilla Jewel Award Winner, for her film Sista in the Brotherhood. She will be sharing a clip of her film, a work inspired by the doctoral thesis of Dr. Roberta Hunte, at this year’s Justice within Reach celebration and at other MRG events throughout the year. Visit our website for more information and to buy tickets to this year’s Justice within Reach taking place on April 2, 2016 at the Portland Art Museum. Lilla Jewel, the namesake of this award, was a gritty, independent woman who believed in her own abilities in the face of overwhelming odds. She was an artist, mother, suffragist, and radical activist during the wave of feminism that took place at the turn of the twentieth century. She fought for the rights of women, and was a founding member of the National Women’s Party. Over a hundred years later, Dawn is honoring Lilla’s work by furthering the social justice movement with her art, skills, and passions. 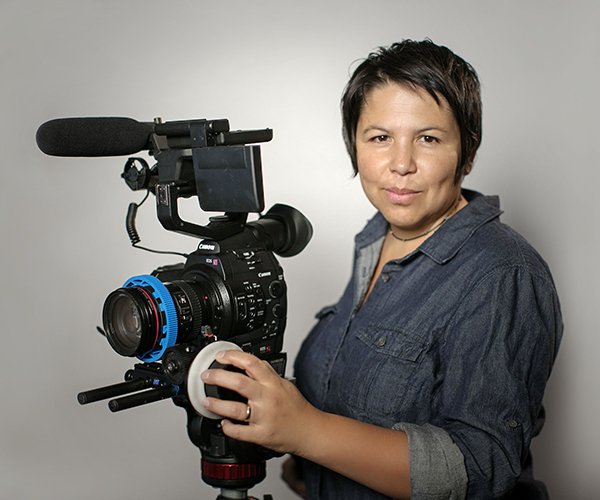 Dawn is a filmmaker, teacher, writer, journey-level carpenter, gay Latina, and a speaker of Spanish. Her rich understanding of the intersectionality of these experiences and identities has allowed her to step into her role as a social justice leader and to explore her voice while sharing the voices of others. The Lilla Jewel award elevates the work of women artists in Oregon who advance a social change message through their work, with a particular emphasis on women of color and queer women. The award was created to celebrate art, beauty, and the voice of women as leaders in our communities. Through her work, Dawn is fulfilling this vision by creating films that share the stories of women and people of color in our communities. “I came to realize the urgency around telling stories of people that look like me, stories I wasn’t actually seeing on the big screen. I am interested in lifting the voices least heard.” Her films also highlight her skills as a teacher and activist. They tell stories and share different facets of our communities. Both of her parents are teachers and from an early age she was able to see the inherent optimism and activism rooted in the profession. The film Sista in the Brotherhood shares the story of a woman apprentice carpenter who faces harassment and judgment on a worksite. Dawn’s experience as a union carpenter and trainer provided her with the personal experience and connections to authentically tell this story. We are excited to partner with Dawn throughout the year to share her work. Join us for our first Lilla Jewel event of the year at our annual Justice within Reach fundraiser on April 2, 2016 at the Portland Art Museum. Tickets are available on our website.